The Reno Philharmonic was founded in 1969 by conductor, Gregory Stone. Stone, an exotic figure with a larger-than-life show-business personality, made a substantial fortune from what he considered to be less prestigious work in commercial ventures. According to Reno pianist Ron Williams, Stone passionately wanted to leave his mark, and his exit, on the music world with a lasting, and serious, contribution to music. Gregory Stone was born in Odessa, Russia in 1900. He became a pianist and composer of note and appears to have migrated to the United States a few years after the 1917 Russian Revolution. He settled in New York where he created arrangements for Broadway shows and the T.B. Harms Publishing House. He toured as conductor of The Ice Capades Orchestra, a popular touring ice show of the 1940s and 1950s. He met his wife, Ingebord, who was a principal skater in the show, during these years. Stone settled in southern California developing musical scoring and arranging for the movie studios. Becoming friendly with many studio musicians, he accumulated an impressive orchestral library, and was ready for the challenge of founding a symphony orchestra. Reno violinist Fred DiSalvo contacted Stone to let him know that Reno had no symphony orchestra and many exceptional musicians playing in world-class casino orchestras. Moving from southern California, Reno became Stone’s base of operations and the Reno Philharmonic Symphony Orchestra was established. From its humble beginning with a rehearsal at the Reno Musicians Union Hall Saturday, August 2, 1969, with a second rehearsal Sunday morning followed by its inaugural concert at 2:30 p.m., August 3 at Reno’s Pioneer Center for the Performing Arts, the Reno Philharmonic has become northern Nevada’s most prominent performing arts organization. The orchestra’s first Sunday afternoon concert was an all Gershwin affair with pianist Ronald Williams performing Gershwin’s Concerto in F. The concert, sporting ten numbers before intermission, was typical give-them-their-moneys-worth Stone programming. The orchestra performed on Tuesday nights, when casino musicians were available, since the casino showrooms were dark. Stone’s early work was met with successes and a few misses. He had a large fan base of support and an almost equally large number of people who found his approach to the symphony business to be more well-intentioned than strategic. His programming, which regularly included ten or more works on each half, lasting hours, were more pops based and less symphonic. Stone’s Hollywood connections helped promote the fledgling orchestra. 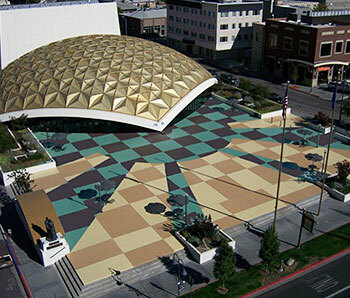 In the first few seasons, many Hollywood guests such as the concert-pianist and darling of MGM movie musicals, Jose Iturbi, graced the stage at the Pioneer Center. The battle over artistic programming became an on-going and public battle between Stone, the board and the musicians that lasted nearly ten years and was chronicled publicly in Reno’s daily newspapers. In 1974, local musicians established the Reno Chamber Orchestra. Vahe Kochayan was the Reno Chamber Orchestra’s conductor until he retired in 2003. 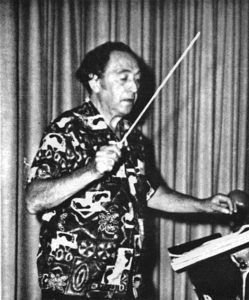 The Stones retired to Spain in the late 1970s, and in 1979, Ron Daniels became the orchestra’s second conductor and music director. Daniels brought a more seasoned approach to the podium through his 19-year tenure. During the Daniels’ years, John Flanigan – president of the orchestra’s Board of Directors – was instrumental in bringing a more sophisticated administrative style to the orchestra’s balance sheet, beginning a period of artistic and financial growth. The 1990s were years of change and growth in Reno and Nevada. An influx of new citizens retiring to Reno arrived in town and embraced the Reno Philharmonic. In particular, Jack Fegely, a retired businessman, was instrumental in moving the orchestra to a higher realm of achievement. During this time, the Board hired its first Executive Director, Barry Auman. Philip Ruder, concertmaster of the Cincinnati Symphony Orchestra, was enticed to come to Reno to establish an orchestral studies program at the University of Nevada, Reno, and become concertmaster of both the Reno Philharmonic and the Reno Chamber Orchestra. Barry Auman’s wife Lynn is credited with founding most of the education programs the Reno Phil still runs today: the Young People’s Concerts (concerts and music curriculum for 3rd, 4th and 5th graders), the Discover Music program (traveling music ensembles that teach about music via their instruments) and two Youth Orchestras, which were expanded to three in 2009. These were the impressive years of growth. 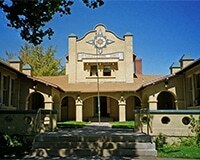 Auman established Pops on the River as a major fundraiser for the Reno Philharmonic and moved the orchestra into a much more prominent public presence. In 1997, the orchestra launched its first public search for a new conductor. After a two-year search, which included William Eddins (Edmonton Symphony Music Director), Joel Revzen (Arizona Opera Artistic Director) and Bernard Rubenstein (Fargo/Moorhead Symphony Music Director), Barry Jekowsky, founder and conductor of the California Symphony Orchestra, was chosen to become the Reno Philharmonic’s third conductor and music director in 1999. An excellent musician, Jekowsky invigorated the orchestra’s artistry and virtuosity. In 2000, the orchestra’s six Tuesday evening concerts were regularly sold out, so a second concert, Sundays at 4:00 pm, was added to what is called the Reno Philharmonic’s Classix Series. Tim Young, the orchestra’s current CEO, came to Reno by way of Alabama, Texas, and New Zealand in 2004. During this time, the Reno Phil saw the development of the Rhythm and Rawhide fundraiser for the Reno Philharmonic and the Reno Rodeo Foundation and the continued success of Pops on the River. The Spirit of the Season concerts, which were started during Ron Daniels’ tenure, became huge Radio City Musical Hall style productions. The education programs were expanded to include RPA Kids (RPAK) (an in-school violin lessons program with Title 1 schools). The orchestra’s 2007-2008 season was Jekowsky’s last as conductor and music director of the Reno Philharmonic. After a nation-wide publicity campaign, the Reno Philharmonic’s team of community leaders, stakeholders and musicians sifted through 200 applicants aspiring to be the orchestra’s next conductor and music director. After nearly a year of interviews and scouting conductors during rehearsals and performances, five finalists were engaged to lead the orchestra during its 2008-2009 subscription season. Jeffrey Grogan, Rebecca Miller, Christopher Confessore, Sarah Hicks, and Laura Jackson were all exceptional finalists and conducted a series of two subscription concerts each. On March 29, 2009, the orchestra’s last concert of the 2008-2009 season, Laura Jackson was named the fourth conductor and music director of the Reno Philharmonic. Jackson is a popular choice with both Reno Philharmonic audiences and the orchestra itself. Jackson recently completed an appointment as the assistant conductor and American Conducting Fellow of the Atlanta Symphony Orchestra, where she regularly conducted the orchestra’s Young People’s Concerts. Prior to her appointment in Atlanta, Jackson studied conducting at the University of Michigan, and was a Seiji Ozawa Conducting Fellow at the Tanglewood Music Center in 2003, where she conducted performances including traditional and contemporary repertoire. In her first four seasons, Jackson established a Composer-in-Residence program that resulted in premieres of works by Sean Shepherd and Michael Gandolfi. With a current annual budget of $2,000,000 and a listening audience estimated at 70,000, the orchestra Gregory Stone launched with his own money 40 years ago was quite different than the formidable symphony orchestra the Reno Philharmonic has become. Be a part of the 50th Anniversary in 2019. Send us photos, guides and stories!